It goes without saying that unless you are Dr.Oz or a well-known doctor or speaker on the topic of health and natural healing, that if you write a book about this topic, it is a hard sell. However, there are ways to get your book the attention it deserves. And increase the sales of your book, and gain notoriety in the book selling world. Man Authors have done extensive research on certain topics in regards to health and body, natural cures for disease or holistic health, and their books have a wealth of information that would be or could be life-saving information for thousands of people. But, how do you know which book to buy? How does an Author get in front of the right people at the right time? I wrote a book called “A Mother’s Wisdom, Natural Healing Remedies, Faith, and Wellness” and I quickly learned that just having my book on Amazon, and Barnes & Noble was not enough. I did some Social Media posts and it helped a little tiny bit. I published a couple of chapters on my personal blog, and that helped a little tiny bit, and then I started looking into how to sell books of this genre. I learned from experience, that it takes some fine tuning, using the right keywords and doing the promotions in the right places. 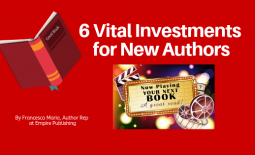 There are some steps that an Author needs to take after they publish their book, depending on how many books they want to sell will depend on which strategies to use. If you contact the book marketing people with Empire Publishing, you can get the ball rolling pretty fast. Expert advice and top notch customer service with the combination of seeing your book sales rise each month is a winning combo! If you have a book in the Health and Body genre and want to know how to increase books sales, please do not hesitate to make the call. It will be the best choice you can make for your book. The price is awesome, only $299.00 and you get so much more than you could imagine. Because you not only get the help you need but you get one on one personal training that you will be able to use every month. 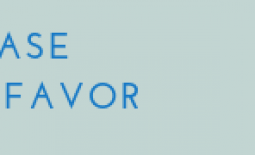 Get out of your own way and do your book a favor! 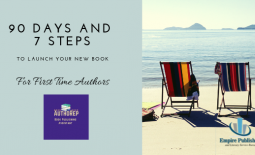 90 Days and 7 Steps to Launch Your New Book!